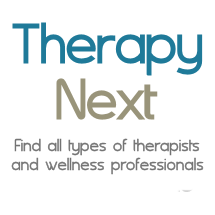 I believe that a positive client/therapist relationship is the foundation of success in therapy. My role as a therapist is to create a safe and supportive environment, where clients feel comfortable to process the challenges they are facing. To do this, I tailor sessions to meet each client’s needs and work alongside them to develop positive coping skills to overcome life’s obstacles. Using a creative approach to counseling, I incorporate interactive activities such as journaling, art, play and mindfulness, alongside traditional therapeutic interventions. I work with individuals who are struggling with anxiety, depression, relationship/family issues, and trauma, among many other issues. I have specialized training in sexual assault and domestic violence and have experience using play therapy with children, to help them explore their emotions in a language they can understand. I received a Master’s degree in Community Counseling from Argosy University and a Bachelor’s degree in Psychology from Illinois State University. Prior to becoming a Licensed Professional Counselor, I taught in a Montessori school with an emphasis on early childhood education.